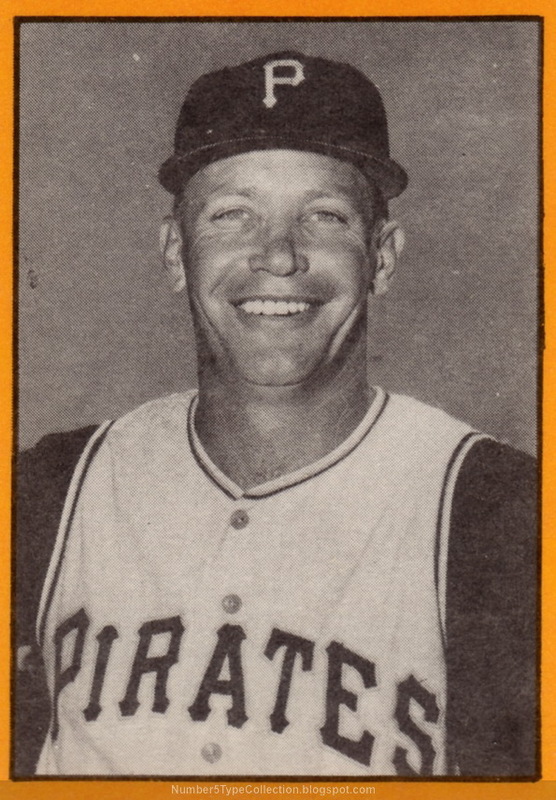 In 1957, Cincinnati fans--nothing if not enthusiastic--performed baseball's most successful stuffing of the All-Star ballot box, electing no less than seven hometown starters: Wally Post, Johnny Temple, Gus Bell, Ed Bailey, Roy McMillan, Frank Robinson, and...Don Hoak. Extra ballots aside, third baseman Hoak deserved the spot, as he led the AL that year with 39 doubles, hit 19 homers, and posted a .381 OPB from a key defensive position. This 42-player set celebrates a classic World Series, as Pittsburgh's Pirates overcame New York's Yankees in 7 games. 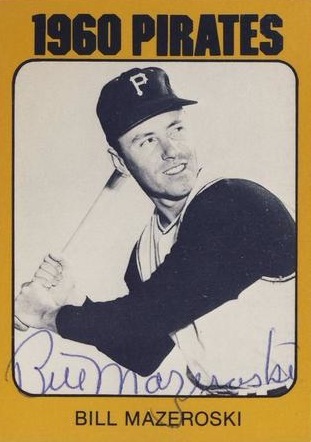 HOF glove man Bill Mazeroski hit the homer every 10 year-old dreams of, a bottom-of-the-ninth title-winner. 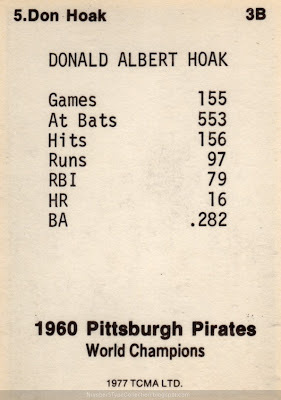 TCMA honored the 1960 Pirates with multiple times in a fairly short span. 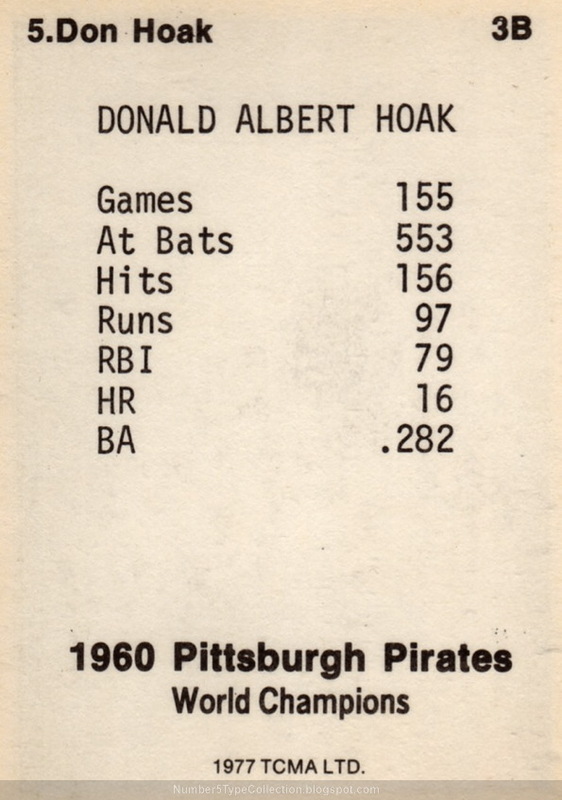 A second 42-card set followed in 1980, with a similar checklist, but more polished front design. Value: Hoak cost $2 on eBay, about right for 1970s oddballs. HOFers Clemente and Mazeroski run several dollars more. Fakes / reprints: Haven't seen any reprints in the market (and don't expect to).